Netherlands hold possession of the ball and display neat passing from player to player. They are waiting for the right moment to open up the opposition's defence to hit them swiftly on the break. One of the defenders reacts at the last minute to brilliantly block a pass from Steven Bergwijn (Netherlands). Ronald Koeman has decided to make a change. Kenny Tete (Netherlands) replaces Denzel Dumfries. Igor Stasevich (Belarus) commits a rough challenge and Davide Massa blows his whistle for a foul. We are about to witness a subsitution. Anton Saroka (Belarus) for Nikolai Signevich. Igor Stasevich (Belarus) steps up to take the corner, but the ball just sails in among the defenders. Yuri Kovalev (Belarus) tries to slide the ball through to a teammate but it's well blocked by a defender. The ball is out of play and Belarus manage to earn a corner. Substitution. Quincy Promes (Netherlands) has come on for Ryan Babel. Memphis Depay (Netherlands) is deemed to be in an offside position by the linesman and it looks like it is the right decision despite being a very close call. Goal! Memphis Depay (Netherlands) wins the battle of wills and sends an unstoppable penalty past Andrey Gorbunov into left side of the goal. Memphis Depay (Netherlands) is going to take the penalty! Mikhail Sivakov (Belarus) should know this behaviour is beyond the rules. He was too careless with his challenge and left Davide Massa no option but to blow his whistle. The referee points to the penalty spot. Netherlands are awarded a penalty kick! Andrey Gorbunov displays his ability to read the game and clears the danger after Steven Bergwijn (Netherlands) threatened to latch onto a through ball from just outside the box. Memphis Depay (Netherlands) dinks a cross into the box from the free kick. However, the opposition defence thwarts the attack, preventing anyone from finishing. Stanislav Dragun (Belarus) deprives his opponent of the ball, but the referee blows his whistle for a foul. He's not happy with the decision! That's a free kick to Netherlands. Yuri Kovalev (Belarus) looks to break free, but his touch lets him down and he loses the ball. The ball is off of the pitch and it's a goal kick for Netherlands. Ronald Koeman makes a half-time substitution. 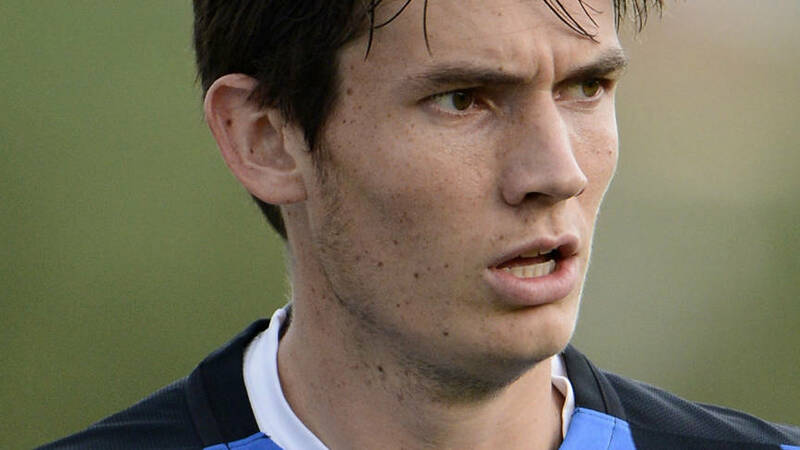 Davy Propper (Netherlands) comes on in place of Marten de Roon. There will be nothing more to see in the first half. The whistle blowing of Davide Massa has ended it. Mikhail Sivakov (Belarus) commits a rough foul. Davide Massa stops the game and makes a call. Chance! Memphis Depay (Netherlands) comes within inches of scoring after picking up a pass from Ryan Babel, but his shot from inside the box flashes inches wide of the left post. Ryan Babel (Netherlands) finds himself some space to meet a beautiful cross from the free kick, and from near the penalty spot he attempts to score with a header. His effort lacks accuracy and floats high over the bar. Memphis Depay (Netherlands) goes over to take a corner kick after one of the defenders makes a good clearance. Ivan Maevskiy (Belarus) is offside and the linesman raises his flag. The referee demonstrates he won't tolerate this behaviour. Marten de Roon (Netherlands) is given a yellow card. Davide Massa shows a yellow card to Anton Putsila (Belarus), who isn't surprised as the tackle was really hard and late. Davide Massa has a clear sight and sees a foul from Daley Blind (Netherlands). The foul by Stanislav Dragun (Belarus) is worthy of a card and a yellow is duly shown by Davide Massa. Igor Stasevich (Belarus) sends a wonderful cross from the corner kick. However, the defence works perfectly to clear the ball and avert the threat. The defence had a hard time blocking out the strike from Anton Putsila (Belarus). He didn't hesitate and finished from outside the box right after he had received a pass from his teammate. It will be a corner kick for Belarus. Yuri Kovalev (Belarus) misses a good chance to score. An inch-perfect cross into the box finds Yuri Kovalev (Belarus) who rises for a header, but sends the ball well over the bar. Memphis Depay (Netherlands) swings in a dangerous cross from the resulting corner kick, but none of his teammates manage to outjump the defence. Good clearance! Frenkie de Jong (Netherlands) receives a brilliant short pass and finds himself in a good position inside the box, but he's robbed of the ball by one of the defending players. Netherlands have been awarded a corner kick. The referee and one of his assistants both point at the corner flag. Nikolai Signevich (Belarus) commits a rough challenge and Davide Massa blows his whistle for an infringement. Goal! Memphis Depay tees up Georginio Wijnaldum (Netherlands) inside the box, and he keeps his cool to find the middle of the goal. 2:0. Denis Polyakov (Belarus) latches on to the corner kick and releases a quick strike from the edge of the box. The result differs significantly from his intention as the ball flies way over the crossbar. Igor Stasevich (Belarus) will take a corner kick. Yuri Kovalev (Belarus) receives the ball inside the box from the resulting free kick, but fails to score as his shot is blocked by one of the defenders. The ball is out of play and the linesman points at the corner flag. Corner to Belarus. Daley Blind (Netherlands) gets on the ball and beats an opponent, but his run is stopped by the referee Davide Massa who sees an offensive foul. Memphis Depay (Netherlands) goes down under a challenge in the box, but the ref immediately waves away the appeals from all players. Igor Stasevich (Belarus) looks to break free, but an opposing player clears the ball away. Memphis Depay (Netherlands) picks up a pass and fires a powerful long-range shot which goes painfully close to the left post. The referee blows his whistle for a foul after Denzel Dumfries (Netherlands) overruns the ball during an attack and makes an aggressive challenge on his opponent. A pass by Steven Bergwijn (Netherlands) ends up in no man's land, and the attacking effort comes to an end. Goal! A mistake from the defence gifted a chance to a lurking Memphis Depay (Netherlands), who keeps his cool and rolls the ball into the net from close range. 1:0. The players are out and the match is about to start. Belarus will have the kick-off. Davide Massa will officiate today.